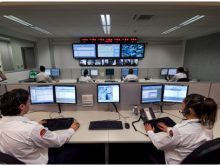 At SMS Security we understand the confusion faced by people throughout Perth when looking for the right alarm system. Our 25 years experience in the security industry has seen us install a myriad Home Alarms, Perimeter Alarms & CCTV Security Systems for commercial and residential customers throughout metropolitan Perth and regional WA. No two situations are identical and there are many factors that must be taken into consideration when choosing the right security system. This is where we come in. By attending your premises to provide a free quotation or simply having a detailed discussion over the phone we can properly assess all the relevant factors and provide you with the right advice to ensure your home & business security needs are met at an affordable price. Just a quick email to thank you for your service and extremely helpful nature during the transition to the new Key system. It was a very smooth process and very easy for all staff. I would highly recommend your company, so feel free to pass on my details for any hotel who may require a reference. If you’re after a competent dependable Security Company, choose SMS. We did and have recommended them to all our friends. Tony and his team completed our security upgrade on budget and on time. The installation wasfirst class. We have also since changed our home alarm monitoring to SMS Security! 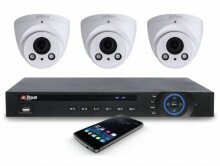 SMS Security are the company that we choose to protect our assets. We find them friendly and reliable. 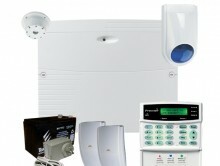 They provide quality Installations and monitoring. The team at SMS Security were a great help in improving our access control and electronic security when we expanded the Balcatta Veterinary Hospital. Their technicians are very experienced, polite, and always arrived on time. Read More Of Our Customer Feedback & Reviews.